Dr Yarrow began his research career as a Research Assistant working at the MRC Human Movement and Balance Unit in Queen Square, London. He subsequently completed a PhD with John Rothwell at the Institute of Neurology, UCL. Dr Yarrow continued to work at the ION during a four year period of postdoctoral research, which was also carried out in collaboration with Patrick Haggard at the Institute of Cognitive Neuroscience, UCL. 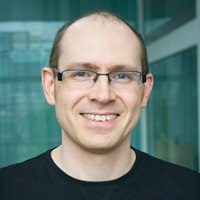 He joined City University London in October 2006 and is Director of the Research Methods with Psychology MSc. Dr Yarrow's research interests include multisensory perception (particularly temporal perception), attention, decision making, and action. PhD students in Kielan's lab have investigated topics such as the automatic priming of the motor system by graspable objects, the way truthful responses leak into primary motor cortex during deception, how evidence for rapid decisions accumulates in the brain, and the cognitive basis of time perception. Dr Yarrow has been the recipient of several large grants. The most recent, awarded to City University London by the Leverhulme Trust, was a three-year Research Project Grant (£216,306) with co-investigators Tina Forster (also at City’s Department of Psychology) and Sven Bestmann (UCL). The project was entitled "Novel neurometric measures to discriminate models of speeded decision making" and ran until November 2017. Overlapping that (with co-investigator Joshua Solomon, from City's Department of Optometry and Visual Science) was a BBSRC funded project, "New methodologies to explain and improve the expert anticipatory advantage in sports decision making" (2013-2016, FEC £469,644). Dr Yarrow has also been a partner investigator on two ARC (Australian Research Council) Discovery Grants (with chief investigator Derek Arnold, University of Queensland), one entitled "Distorted Time Perceptions: Altered neural coding or decisional criteria?" (2014-2016, AU$163,000) and one entitled "Why does time seem to drag or fly?” (2018-2020, AU$199,000). As part of City's Cognitive Neuroscience Research Unit, Kielan runs the transcranial magnetic stimulation lab, where a powerful magnet is used to interfere with the brain's activity. Yarrow, K. and Obhi, S.S. (2014). Temporal perception in the context of action. Subjective Time: The Philosophy, Psychology, and Neuroscience of Temporality (pp. 455–476). ISBN 978-0-262-01994-1. Yarrow, K.N. (2010). Continuity of subjective temporal experience across eye movements: Temporal antedating following small, large and sequential saccades. In Srinivasan, N., Kar, B.R. and Pandey, J. (Eds. ), Advances in Cognitive Science Sage Publications Pvt. Ltd. ISBN 978-81-321-0444-5. Yarrow, K.N., Haggard, P. and Rothwell, J.C. (2010). Saccadic chronostasis and the continuity of subjective temporal experience across eye movements. In Nijhawan, R. and Khurana, B. (Eds. ), Space and Time in Perception and Action (pp. 149–163). Cambridge Univ Pr. ISBN 978-0-521-86318-6. Yarrow, K.N. (2010). Temporal dilation: The chronostasis illusion and spatial attention. In Nobre, K. and Coull, J.T. (Eds. ), Attention and Time Oxford Univ Pr. ISBN 978-0-19-956345-6. Jalali, S., Martin, S., Solomon, J. and Yarrow, K. (2016). Classification videos reveal the information used to respond to an opponent's tennis stroke. Yarrow, K., Ball, D. and Arnold, D. (2016). Integration of visual and tactile information during interval timing: Implications for internal clocks. Keane, B., Yarrow, K. and Arnold, D. (2015). Metacognition of time perception. Yarrow, K., Hadar, A., Rowe, P., Di Costa, S. and Jones, A. (2015). Motor-evoked potentials reveal a motor-cortical readout of evidence accumulation for sensorimotor decisions. Jalali, S., Yarrow, K. and Solomon, J. (2015). Predicting the outcome of an opponent’s tennis stroke: Insights from a classification-sequence analysis. Yarrow, K. (2014). Assessing proposed explanations of audio-visual temporal recalibration. Makris, S. and Yarrow, K. (2014). Unconscious presentation of object affordances evokes a negative compatibility effect. Lambrechts, A., Gaigg, S., Yarrow, K., Maras, K. and Fusaroli, R. (2014). Temporal dynamics of speech and gesture in Autism Spectrum Disorder. Yarrow, K., Shapiro, S., DiCosta, S. and Arnold, D.H. (2014). A 2AFC Simultaneity-judgment Task to Estimate the Point of Subjective Simultaneity. Lambrechts, A., Yarrow, K., Maras, K. and Gaigg, S. (2014). Impact of the Temporal Dynamics of Speech and Gesture on Communication in Autism Spectrum Disorder. Arnold, D.H., Keane, B. and Yarrow, K. (2014). Audio-visual temporal recalibration is driven by decisional processes. Bruecke, C., Huebl, J., Schoenecker, T., Neumann, W.J., Yarrow, K., Kupsch, A. … Kuehn, A.A. (2012). Scaling of movement is related to pallidal gamma oscillations in patients with dystonia. (2011). The truth-telling motor cortex: Response competition in M1 discloses deceptive behaviour. Sauleau, P., Eusebio, A., Thevathasan, W., Yarrow, K., Pogosyan, A., Zrinzo, L. … Brown, P. (2009). Involvement of the Subthalamic Nucleus in engagement with behaviourally relevant stimuli. Yarrow, K., Haggard, P. and Rothwell, J.C. (2006). An extended perceived duration for multiple post-saccadic visual objects. Kuhn, A.A., Hariz, M., Silberstein, P., Tisch, S., Kupsch, A., Schneider, G.H. … Brown, P. (2005). The subthalamic region is active during emotional processing in patients with Parkinson's disease. Yarrow, K., Whiteley, L., Haggard, P. and Rothwell, J.C.E. (2004). Dissociable temporal and spatial perceptions following saccadic eye movements. Gorst, T., Freeman, J., Yarrow, K. and Marsden, J. (2019). Assessing plantar sensation in the foot using the FOot Roughness Discrimination Test (FoRDT™): a reliability and validity study in stroke. PM&R. doi:10.1002/pmrj.12085 . Mandeville, K.L., Barker, R., Packham, A., Sowerby, C., Yarrow, K. and Patrick, H. (2019). Financial interests of patient organisations contributing to technology assessment at England's National Institute for Health and Care Excellence: Policy review. BMJ (Online), 364. doi:10.1136/bmj.k5300 . Jalali, S., Martin, S.E., Murphy, C.P., Solomon, J.A. and Yarrow, K. (2018). Classification videos reveal the visual information driving complex real-world speeded decisions. Frontiers in Psychology. doi:10.3389/fpsyg.2018.02229 . Mandeville, K.L., Satherley, R.-.M., Hall, J., Sutaria, S., Willott, C., Yarrow, K. … Devakumar, D. (2018). The political views of doctors in the United Kingdom: A cross sectional study. Journal of Epidemiology and Community Health. doi:10.1136/jech-2018-210801 . Spieser, L., Kohl, C., Forster, B., Bestmann, S. and Yarrow, K. (2018). Neurodynamic evidence supports a forced-excursion model of decision-making under speed/accuracy instructions. eNeuro, 5(3). doi:10.1523/ENEURO.0159-18.2018 . Hadar, A.A., Lazarovits, A. and Yarrow, K. (2018). Increased Motor Cortex Excitability for Concealed Visual Information. Journal of Psychophysiology. doi:10.1027/0269-8803/a000230 . Kohl, C., Spieser, L., Forster, B., Bestmann, S. and Yarrow, K. (2018). The neurodynamic decision variable in human multi-alternative perceptual choice. Journal of Cognitive Neuroscience, 31(2), pp. 262–277. doi:10.1162/jocn_a_01347 . Gorst, T., Freeman, J., Yarrow, K. and Marsden, J. (2018). Assessing lower limb position sense in stroke using the gradient discrimination test (GradDT™) and step-height discrimination test (StepDT™): a reliability and validity study. Disability and Rehabilitation. doi:10.1080/09638288.2018.1554008 . Ball, D.M., Arnold, D.H. and Yarrow, K. (2017). Weighted integration suggests that visual and tactile signals provide independent estimates about duration. Journal of Experimental Psychology: Human Perception and Performance, 43(5), pp. 868–880. doi:10.1037/xhp0000368 . Rowe, P.J., Haenschel, C., Kosilo, M. and Yarrow, K. (2017). Objects rapidly prime the motor system when located near the dominant hand. Brain and Cognition, 113, pp. 102–108. doi:10.1016/j.bandc.2016.11.005 . Yarrow, K. (2017). Assessing risk factors for athletic excellence. , 232, pp. 141–144. doi:10.1016/bs.pbr.2016.11.008 . Hadar, A.A., Rowe, P., Di Costa, S., Jones, A. and Yarrow, K. (2016). Motor-evoked potentials reveal a motor-cortical readout of evidence accumulation for sensorimotor decisions. Psychophysiology, 53(11), pp. 1721–1731. doi:10.1111/psyp.12737 . Merchant, H. and Yarrow, K. (2016). How the motor system both encodes and influences our sense of time. Current Opinion in Behavioral Sciences, 8, pp. 22–27. doi:10.1016/j.cobeha.2016.01.006 . Yarrow, K., Martin, S.E., Di Costa, S., Solomon, J.A. and Arnold, D.H. (2016). A roving dual-presentation simultaneity-judgment task to estimate the point of subjective simultaneity. Frontiers in Psychology, 7(MAR). doi:10.3389/fpsyg.2016.00416 . Keane, B., Spence, M., Yarrow, K. and Arnold, D. (2015). Perceptual confidence demonstrates trial-by-trial insight into the precision of audio-visual timing encoding. Consciousness and Cognition, 38, pp. 107–117. doi:10.1016/j.concog.2015.10.010 . Yarrow, K., Minaei, S. and Arnold, D.H. (2015). A model-based comparison of three theories of audiovisual temporal recalibration. Cognitive Psychology, 83, pp. 54–76. doi:10.1016/j.cogpsych.2015.10.002 . Narkiewicz, M., Lambrechts, A., Eichelbaum, F. and Yarrow, K. (2015). Humans don't time subsecond intervals like a stopwatch. Journal of Experimental Psychology: Human Perception and Performance, 41(1), pp. 249–263. doi:10.1037/a0038284 . Shankleman, M., Sykes, C., Mandeville, K.L., Di Costa, S. and Yarrow, K. (2015). Standardised (plain) cigarette packaging increases attention to both text-based and graphical health warnings: Experimental evidence. Public Health, 129(1), pp. 37–42. doi:10.1016/j.puhe.2014.10.019 . Arnold, D.H., Petrie, K., Gallagher, R. and Yarrow, K. (2015). An object-centered aftereffect of a latent material property: A squishiness visual aftereffect, not causality adaptation. Journal of Vision, 15(9). doi:10.1167/15.9.4 . Herrojo Ruiz, M., Huebl, J., Schönecker, T., Kupsch, A., Yarrow, K., Krauss, J.K. … Kühn, A.A. (2014). Involvement of human internal globus pallidus in the early modulation of cortical error-related activity. Cereb Cortex, 24(6), pp. 1502–1517. doi:10.1093/cercor/bht002 . Mandeville, K.L., O'Neill, S., Brighouse, A., Walker, A., Yarrow, K. and Chan, K. (2014). Academics and competing interests in H1N1 influenza media reporting. J Epidemiol Community Health, 68(3), pp. 197–203. doi:10.1136/jech-2013-203128 . Tretyak, V. and Yarrow, K. (2014). Motor plans persist to influence subsequent actions with four or more response alternatives. Acta Psychologica, 149, pp. 9–17. doi:10.1016/j.actpsy.2014.02.013 . Yarrow, K., Sverdrup-Stueland, I., Roseboom, W. and Arnold, D.H. (2013). Sensorimotor temporal recalibration within and across limbs. J Exp Psychol Hum Percept Perform, 39(6), pp. 1678–1689. doi:10.1037/a0032534 . Makris, S., Hadar, A.A. and Yarrow, K. (2013). Are object affordances fully automatic? A case of covert attention. Behav Neurosci, 127(5), pp. 797–802. doi:10.1037/a0033946 . Makris, S., Grant, S., Hadar, A.A. and Yarrow, K.N. (2013). Binocular vision enhances a rapidly evolving affordance priming effect: Behavioural and TMS evidence. Brain and Cognition, 83(3), pp. 279–287. doi:10.1016/j.bandc.2013.09.004 . Hadar, A.A., Makris, S. and Yarrow, K. (2012). Single-pulse TMS related syncopal spell in a healthy subject. Brain Stimul, 5(4), pp. 652–653. doi:10.1016/j.brs.2011.08.001 . Arnold, D.H., Nancarrow, K. and Yarrow, K. (2012). The critical events for motor-sensory temporal recalibration. Frontiers in Human Neuroscience, (AUGUST). doi:10.3389/fnhum.2012.00235 . Hadar, A.A., Makris, S. and Yarrow, K. (2012). The truth-telling motor cortex: Response competition in M1 discloses deceptive behaviour. Biol Psychol, 89(2), pp. 495–502. doi:10.1016/j.biopsycho.2011.12.019 . Brücke, C., Huebl, J., Schönecker, T., Neumann, W.-.J., Yarrow, K., Kupsch, A. … Kühn, A.A. (2012). Scaling of movement is related to pallidal γ oscillations in patients with dystonia. J Neurosci, 32(3), pp. 1008–1019. doi:10.1523/JNEUROSCI.3860-11.2012 . Yarrow, K., Jahn, N., Durant, S. and Arnold, D.H. (2011). Shifts of criteria or neural timing? The assumptions underlying timing perception studies. Conscious Cogn, 20(4), pp. 1518–1531. doi:10.1016/j.concog.2011.07.003 . Makris, S., Hadar, A.A. and Yarrow, K. (2011). Viewing objects and planning actions: on the potentiation of grasping behaviours by visual objects. Brain Cogn, 77(2), pp. 257–264. doi:10.1016/j.bandc.2011.08.002 . Yarrow, K., Roseboom, W. and Arnold, D.H. (2011). Spatial grouping resolves ambiguity to drive temporal recalibration. J Exp Psychol Hum Percept Perform. doi:10.1037/a0024235 . Arnold, D.H. and Yarrow, K. (2011). Temporal recalibration of vision. Proc Biol Sci, 278(1705), pp. 535–538. doi:10.1098/rspb.2010.1396 . Huebl, J., Schoenecker, T., Siegert, S., Brücke, C., Schneider, G.-.H., Kupsch, A. … Kühn, A.A. (2011). Modulation of subthalamic alpha activity to emotional stimuli correlates with depressive symptoms in Parkinson's disease. Mov Disord, 26(3), pp. 477–483. doi:10.1002/mds.23515 . Yarrow, K.N. (2010). Temporal illusions subsequent to movement. .
Sauleau, P., Eusebio, A., Thevathasan, W., Yarrow, K., Pogosyan, A., Zrinzo, L. … Brown, P. (2009). Involvement of the subthalamic nucleus in engagement with behaviourally relevant stimuli. Eur J Neurosci, 29(5), pp. 931–942. doi:10.1111/j.1460-9568.2009.06635.x . Yarrow, K., Brown, P. and Krakauer, J.W. (2009). Inside the brain of an elite athlete: The neural processes that support high achievement in sports. Nature Reviews Neuroscience, 10(8), pp. 585–596. Ley, I., Haggard, P. and Yarrow, K. (2009). Optimal Integration of Auditory and Vibrotactile Information for Judgments of Temporal Order. Journal of Experimental Psychology: Human Perception and Performance, 35(4), pp. 1005–1019. Yarrow, K., Haggard, P. and Rothwell, J.C. (2008). Vibrotactile-auditory interactions are post-perceptual. Perception, 37(7), pp. 1114–1130. doi:10.1068/p5824 . Brücke, C., Kempf, F., Kupsch, A., Schneider, G.-.H., Krauss, J.K., Aziz, T. … Kühn, A.A. (2008). Movement-related synchronization of gamma activity is lateralized in patients with dystonia. Eur J Neurosci, 27(9), pp. 2322–2329. doi:10.1111/j.1460-9568.2008.06203.x . Brücke, C., Kupsch, A., Schneider, G.-.H., Hariz, M.I., Nuttin, B., Kopp, U. … Kühn, A.A. (2007). The subthalamic region is activated during valence-related emotional processing in patients with Parkinson's disease. Eur J Neurosci, 26(3), pp. 767–774. doi:10.1111/j.1460-9568.2007.05683.x . Androulidakis, A.G., Doyle, L.M.F., Yarrow, K., Litvak, V., Gilbertson, T.P. and Brown, P. (2007). Anticipatory changes in beta synchrony in the human corticospinal system and associated improvements in task performance. Eur J Neurosci, 25(12), pp. 3758–3765. doi:10.1111/j.1460-9568.2007.05620.x . Rounis, E., Yarrow, K. and Rothwell, J.C. (2007). Effects of rTMS conditioning over the fronto-parietal network on motor versus visual attention. J Cogn Neurosci, 19(3), pp. 513–524. doi:10.1162/jocn.2007.19.3.513 . Brown, P., Chen, C.C., Wang, S., Kühn, A.A., Doyle, L., Yarrow, K. … Aziz, T. (2006). Involvement of human basal ganglia in offline feedback control of voluntary movement. Curr Biol, 16(21), pp. 2129–2134. doi:10.1016/j.cub.2006.08.088 . Yarrow, K., Whiteley, L., Haggard, P. and Rothwell, J.C. (2006). Biases in the perceived timing of perisaccadic perceptual and motor events. Percept Psychophys, 68(7), pp. 1217–1226. Kühn, A.A., Doyle, L., Pogosyan, A., Yarrow, K., Kupsch, A., Schneider, G.-.H. … Brown, P. (2006). Modulation of beta oscillations in the subthalamic area during motor imagery in Parkinson's disease. Brain, 129(Pt 3), pp. 695–706. doi:10.1093/brain/awh715 . Yarrow, K., Whiteley, L., Rothwell, J.C. and Haggard, P. (2006). Spatial consequences of bridging the saccadic gap. Vision Research, 46(4), pp. 545–555. Kühn, A.A., Hariz, M.I., Silberstein, P., Tisch, S., Kupsch, A., Schneider, G.-.H. … Brown, P. (2005). Activation of the subthalamic region during emotional processing in Parkinson disease. Neurology, 65(5), pp. 707–713. doi:10.1212/01.wnl.0000174438.78399.bc . Doyle, L.M.F., Yarrow, K. and Brown, P. (2005). Lateralization of event-related beta desynchronization in the EEG during pre-cued reaction time tasks. Clin Neurophysiol, 116(8), pp. 1879–1888. doi:10.1016/j.clinph.2005.03.017 . Yarrow, K., Haggard, P. and Rothwell, J.C. (2004). Action, arousal, and subjective time. Conscious Cogn, 13(2), pp. 373–390. doi:10.1016/j.concog.2003.10.006 . Yarrow, K., Johnson, H., Haggard, P. and Rothwell, J.C. (2004). Consistent chronostasis effects across saccade categories imply a subcortical efferent trigger. J Cogn Neurosci, 16(5), pp. 839–847. doi:10.1162/089892904970780 . Kühn, A.A., Williams, D., Kupsch, A., Limousin, P., Hariz, M., Schneider, G.-.H. … Brown, P. (2004). Event-related beta desynchronization in human subthalamic nucleus correlates with motor performance. Brain, 127(Pt 4), pp. 735–746. doi:10.1093/brain/awh106 . Williams, D., Kühn, A., Kupsch, A., Tijssen, M., van Bruggen, G., Speelman, H. … Brown, P. (2003). Behavioural cues are associated with modulations of synchronous oscillations in the human subthalamic nucleus. Brain, 126(Pt 9), pp. 1975–1985. doi:10.1093/brain/awg194 . Latash, M.L., Yarrow, K. and Rothwell, J.C. (2003). Changes in finger coordination and responses to single pulse TMS of motor cortex during practice of a multifinger force production task. Exp Brain Res, 151(1), pp. 60–71. doi:10.1007/s00221-003-1480-y . Yarrow, K. and Rothwell, J.C. (2003). Manual chronostasis: Tactile perception precedes physical contact. Current Biology, 13(13), pp. 1134–1139. Yarrow, K., Haggard, P., Heal, R., Brown, P. and Rothwell, J.C. (2001). Illusory perceptions of space and time preserve cross-saccadic perceptual continuity. Nature, 414(6861), pp. 302–305. doi:10.1038/35104551 . Yarrow, K., Brown, P., Gresty, M.A. and Bronstein, A.M. (2001). Force platform recordings in the diagnosis of primary orthostatic tremor. Gait Posture, 13(1), pp. 27–34. Guerraz, M., Shallo-Hoffmann, J., Yarrow, K., Thilo, K.V., Bronstein, A.M. and Gresty, M.A. (2000). Visual control of postural orientation and equilibrium in congenital nystagmus. Invest Ophthalmol Vis Sci, 41(12), pp. 3798–3804. Jauregui-Renaud, K., Yarrow, K., Oliver, R., Gresty, M.A. and Bronstein, A.M. (2000). Effects of caloric stimulation on respiratory frequency and heart rate and blood pressure variability. Brain Res Bull, 53(1), pp. 17–23. Yarrow, K., Brown, P. and Krakauer, J.W. (2009). Erratum: Inside the brain of an elite athlete: The neural processes that support high achievement in sports (Nature Reviews Neuroscience (2009) 10 (585-596)). Yarrow, K. (2005). Mind time: The temporal factor in consciousness. Yarrow, K., Brown, P., Gresty, M.A. and Bronstein, A.M. (2001). Erratum: Force platform recordings in the diagnosis of primary orthostatic tremor (Gait and Posture 13 (2001) (27-34) PII: S0966636200000977).